Join us for this special Passover service! 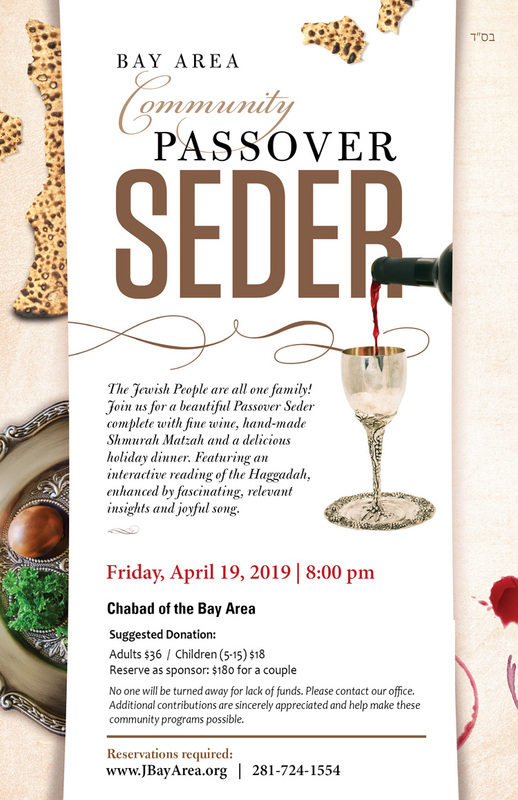 Join us for this special Shabbat-Passover service! Join us for Kabbalah Class this Shabbat morning at 9:00 am! Join us this Sunday morning as we BRING BACK THE BAGELS FOR for WrapStars! Featuring a Tefillin wrap, light breakfast and a short Torah thought. The weekly Coffee & Kabbalah class will not be held this Shabbat morning (will resume next week). Shabbat Service will be held as usual at 10 am. Please join us to help make a Minyan on this special day! Discover inspiring insights and fascinating ideas -- from the mystical to the practical -- that will transform the way you experience your Seder! Also includes a brief review of some of the practical aspects of the holiday. Simply reply to this email to RSVP. Zohar calls matzah “Bread of Faith” and “Bread of Healing.” Our great mystics explain that this is especially true with Shmurah Matzah. As a community service, we have some available for purchase. As a community service, we are pleased to offer some Shmurah Matzah available for purchase at $20 per lb.